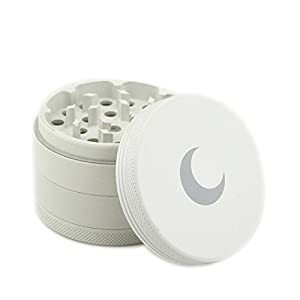 ➔ TOP RATED PREMIUM HERB GRINDER: Clear chamber window allows you to view your premium herbs as you grind to your desired consistency. 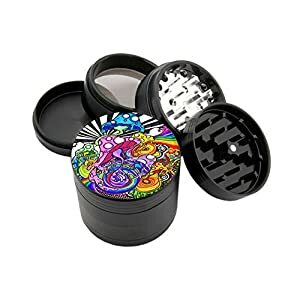 ➔ SUPER SIZE or COMPACT: Gorilla gives you options, Use at home all 4 chambers at 3.2″ tall or on the go remove the center chamber and your 1.5″ Pocket Grinder travels with you. 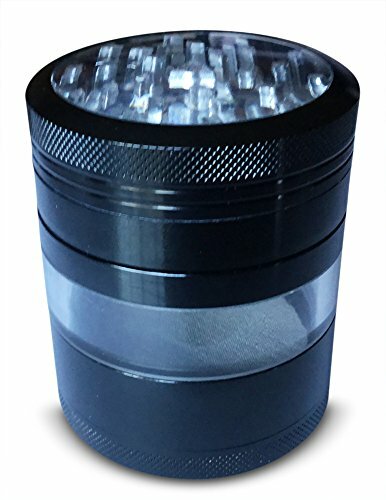 ➔ DURABLE | LIGHTWEIGHT: Crafted from High Quality AEROSPACE GRADE ALUMINUM, Gorilla Grinders are built to last a lifetime so its the last grinder you buy and at less than 1/2 lb it won’t weigh you down. Congratulations !! 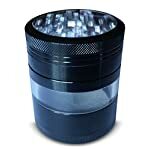 You have found the only herb grinder you will ever need !! 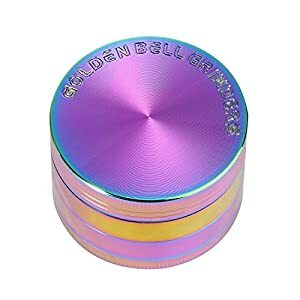 Gorilla Grinders are crafted with the highest quality and cost less while still offering a NO RISK 100% MONEY BACK GUARANTEE!! Amazon’s #1 New Release !! Clear Side Chamber and Top Lens: Gorilla Grinders has unique look with with clear visibility chamber so you can not only observe how your premium ground herbs look, but you can also view how much is left through the top clear lens without removing the cover! 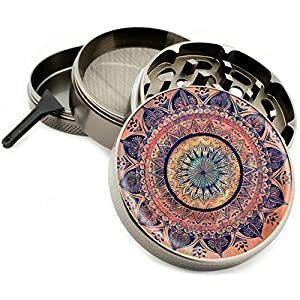 Twice as Big as Other Grinders! 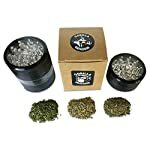 : Don’t be fooled by other zoomed in pictures that make the grinder look bigger than it is. 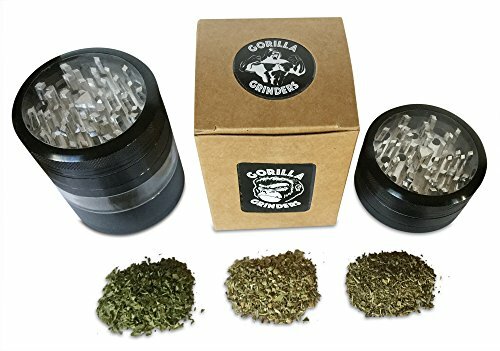 Gorilla Grinder is twice the size of a standard grinder and has 49 powerful teeth so you can crush large amounts of herbs at once with ease. Classy Design and Performs even Better: We all want our kitchenware to have that professional look and feel, but if it doesn’t perform well it goes in the bottom draw or even worse the trash. Well at Gorilla there’s no worries because we’ve proven them to be as sturdy and functional as they are stylish! 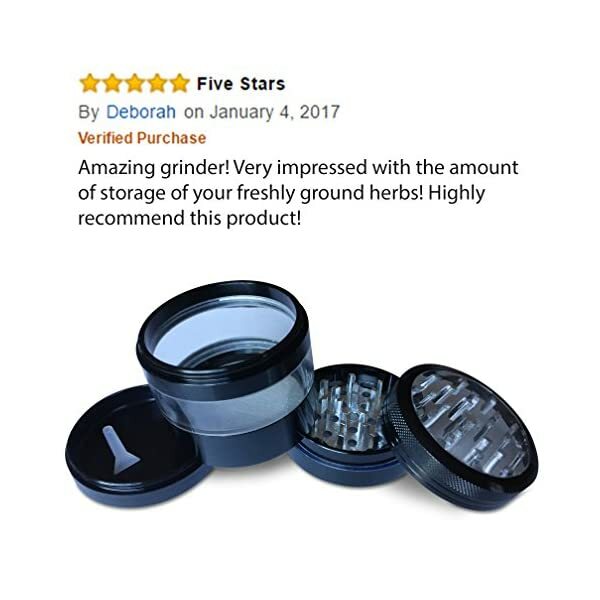 100% Satisfaction Guaranteed: If for any reason our Gorilla Grinder doesn’t perform to it’s highest expectations, Simply return our product for a full refund or replacement. Limited Time Offer: So get yours now before stock runs out! Click the “Add To Cart” button and save today! 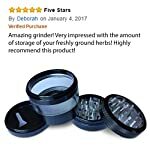 ➔ SMOOTH OPERATION: With 49 Diamond Shaped Teeth, Powerful Neodymium Magnets and Glide Rings making grinding even the tightest or toughest herbs effortless. ➔ GREAT GIFT IDEA: Your Best friend, relative or even coworker will be overjoyed when the Gorilla shows up on their front doorstep! !